There is absolutely no way out that over the last few years, social media has completely changed the internet. Actually, it has the whole world and also the world of marketing as well. Why social share buttons are important? When your contents are shared by your visitors through social share buttons, other people will think that it’s something worth checking out. When you provide a social share buttons just above and below of your posts. Your readers can simply share your contents by simply clicking a button and it is incredibly convenient when compared to logging into your social media account and copying the posts URL and pasting on the status box. 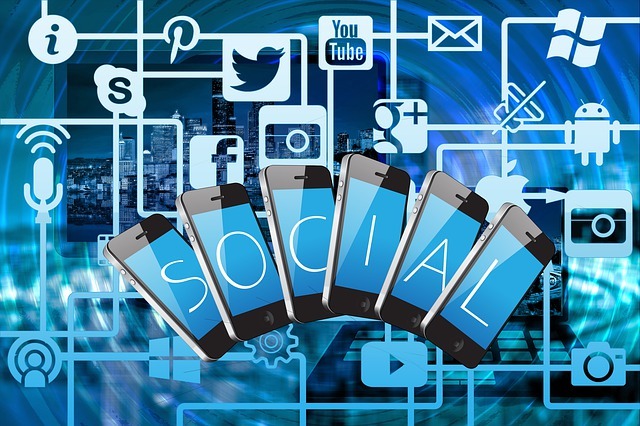 Social media a major lead generator that constantly brings high volume traffic to your website or blogs and this can help with SEO significantly. These social media buttons are responsive and will stick to the top or bottom of your every post. It is a very lightweight social sharing gadget and has aligned all major social media platforms inside a horizontal row. You can also display this social media buttons below or above the contents of every blog post. You can toggle the buttons for expanding or even can collapse the number of sharing buttons you want to display. I have used the official style sheet for Facebook, Google, Twitter and others and hence these buttons have the exact look and style as the official designs. Kindly note that the Viber and Whatsapp share buttons will only be displayed on the mobile devices. Follow these simple and easy steps and you will be done within no time. Step 1. Paste the below jQuery just above </head> tag. Note: Skip this step if you have already added the jQuery and Font Awesome earlier in your template. Step 2. Login to your Blogger blog and select on Theme and click on Edit HTML. Step 3. Pressing Ctrl+F search for ]]></b:skin> code and paste the below code just above the ]]></b:skin> code. Step 4. Now copy and paste the below jQuery script just above the </body> tag. Adding social media buttons to the top or bottom of each blog post. Step 1. Search for <data:post.body/> code. Note: You might find this <data:post.body/> code twice, i.e. once for your mobile view and another for desktop view. So, take the code that you will find the second time. Below <data:post.body/> : If you want your social media share buttons to display below every blog posts. Above and below <data:post.body/> : If you want to display both above and below your blog posts then paste the following code once above the <data:post.body/> code and once below the <data:post.body/> code. Replace your buffer handle or profile username or simply your blog title without spaces in place of stc_network at line number 74. Paste the mobile code if you want to show any social media button on mobile devices only inside the red highlighted tags. Simply copy and paste its code if you want to add more social buttons inside the purple switch tags. In order to remove buttons from the switch, you have to simply copy and paste the button’s code above the switch tag. These social media buttons are responsive hence it will automatically re-size with the width of the device's display. I hope this tutorial has helped you adding social media share buttons on your Blogger posts, or if you have found any problem adding the codes on any part. Do leave a comment below, and I will get back to you.